(UPM, Helsinki, 11 January 2018 at 09:00 EET) - UPM promotes new innovations in disease research by making a significant donation to Biomedicum Helsinki Foundation. The donation made by UPM is targeted especially at cancer research based on application of cell models. These models help to investigate pathogenetic mechanisms of diseases and how cancer medications work. With new cell models, it will be possible to develop even more effective treatments and cures for serious diseases in the future. "UPM's donation provides the Foundation with a wonderful new opportunity to support young researchers, and it reflects the increasing collaboration with corporations in cancer research and personalised medicine. This brings great opportunities to Meilahti Hospital area and, with the Comprehensive Cancer Center Finland, to the whole of Finland", says Professor Tomi Mäkelä, Executive Manager of the Biomedicum Helsinki Foundation. In cancer treatment, researchers continue to make successful progress. There have been promising test results in the fields of biomedicine and personalised medicine. However, there is still great demand for new information and solutions. "Innovations and responsibility are important subjects for UPM. We want to encourage and support researchers' work via the Biomedicum Helsinki Foundation and contribute to creating new innovations in a field that has broad impact on individuals and society as a whole", says Jyrki Ovaska, Executive Vice President of Technology at UPM. 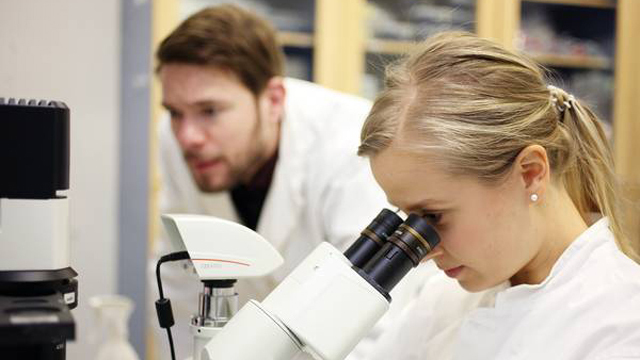 Biomedicum Helsinki Foundation promotes academic research in clinical medicine and other health sciences in various ways, such as awarding annual grants-predominantly to young researchers-and helping to publicise research results. Studia Medicina in the form of public lectures. The Foundation has granted over EUR 3,000,000 during this millennium. The Foundation's operations are funded through fundraising and donations by private citizens and companies. For further information: www.biomedicum.fi -> Foundation. In 2016, UPM Biochemicals founded its own innovation unit at Biomedicum in Meilahti, Helsinki. At Biomedicum Helsinki, the UPM team will be working more closely with medical researchers and other operators in the field.